Founded in 1964 Be Modern is a group of companies dedicated to the manufacture of high quality fires and fireplaces to a wide and diverse range of industries across the public and private sector. Find out more about Be Modern group here. For over 50 years Be Modern has been flying the British flag, manufacturing high quality products that you can rely on. As a leading UK based manufacturer we employ over 400 staff across multiple sites in the North of England and one in Shrewsbury. With over 50 years’ experience we are recognised as the industry leaders with a reputation for producing high quality, reliable products. Our product range, market share and service quality set the standards that others follow. Be Modern employ locally skilled labour and maintain a strong manufacturing presence in the North East, continually investing in new technology and machinery. Continuous investment across the board gives us a winning edge over the competition. Our in-house design teams strive to incorporate the latest innovations and technologies to meet changing trends and styles; that’s why many of our products are protected by special design patents. Be Modern can react quickly to sudden demand or emergency situations and products can be supplied same day. We have established our own internal Environmental Policy and are committed to reducing our Carbon Footprint throughout our organisation especially through our logistics operations. Be Modern manufactures a world class product. Whether the style is traditional or contemporary, we employ the same meticulous eye for detail and the highest standards of manufacture throughout. Be Modern factories operate to ISO 9001 with internal quality management systems, applying rigorous controls to all aspects of the business. Our electric fires are BEAB approved – The European Safety Mark used by leading electrical manufacturers to support CE Marking and to demonstrate conformity with the Low Voltage Directive (LVD). Our timber fireplace surrounds are manufactured from Forest Stewardship Council®, FSC®, certified timber and only taken from well managed and certified forests. Chain of custody certification ensures environmental issues are protected. 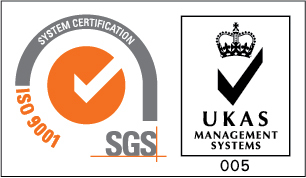 Certified to ISO 14001 Be Modern operates in an environmentally sustainable manner and complies with the latest Waste Electrical and Electronic Equipment (WEEE) regulations. At Be Modern we feel it is important to contribute not just our product but also our time to local communities. In 2012 we won an award from the Forest Stewardship Council® for the best image taken during our FSC® Friday event at Houghton Children’s Centre. We taught the children of the importance of sustainable trees and planted 4 trees on their premises. Similarly in 2014 we took part in FSC® Friday in connection with Gentoo Group, as part of their incredible edible scheme; we planted fruit trees in St Aiden’s Catholic School in Sunderland with the help of their pupils. 4 million tonnes of waste wood is generated by the UK construction industry each year with an estimated 1.5 million tonnes going to landfill. Be Modern purchase thousands of cubic metres of MDF each year for its timber fireplace production and 0% of timber waste is sent to landfill. All waste timber and timber dust is incinerated in internally to generate heat for internal production areas. Heat recovery is recognised by WRAP as an efficient means of recycling and 0% waste remains Be Moderns ongoing target.